“Wherever there is possession of marks, there is fraud; wherever there is no-possession of no-marks, there is no fraud. Hence the Tathagata is to be seen from no-marks as marks.”—Gautama Buddha 563-483 B.C. Some social media and political analysts contend that unless something extraordinary happens, Maithripala’s victory is assured. The concern is the high probability of the ruling party committing potentially fraudulent acts which interfere with the process of elections and intend to change the outcome. Compared to blatant dictatorships, formal electoral mechanisms in democracies could fetishize the ability to prevent fraud and thus provide an even greater space for fraud. In ostensible democracies, fraudulent acts are difficult to detect, are more sophisticated and evolve out of the same mechanisms that are put in place to prevent fraud. In political science literature, this phenomenon known as Electoral Authoritarianism (EA) is typical of state formation in countries responsive to global pressures on the democratization of governance and where institutionalization of formal mechanisms of electoral politics have become de rigueur, It is new-form authoritarianism “behind the electoral façade” (Andreas Schedler). EA regimes create broad-based formal institutional mechanisms to guarantee free and fair elections, ostensibly for the peaceful transition of power, but in practice, the regimes subvert the mechanisms. These regimes incorporate elections as part of governance, in contrast to conventional versions of authoritarianism and dictatorships that hold elections without giving voters a choice. But they create an uneven playing field for different parties contesting the elections based on “formal and informal rules that construct prohibitively high barriers to participation; sharply unequal access of competitors to financial and media resources; abuses of power by the state apparatus for the sake of maximizing incumbent votes” (Vladimir Gel’ Man, p. 503 ). EA regimes typically hold regular multiparty (in Sri Lanka, more than regular) elections, but the timing of these elections and the way they are conducted are primarily driven by distracting and suppressing opposition’s chances of capturing state power. Violation of established principles of democracy inherent in these types of regimes is often referred to as “the fallacy of electoralism” (T.L. Karl, 1995). In electoral authoritarian regimes, these violations are so sophisticated that they are not easily detectible and punishable by law. The secrecy of the voting booths is expected to insulate voters from undue pressures that are often violated by spatial and temporal forms of social, economic and political controls of voter behavior. The ability of the foreign election monitors to prevent these fraudulent activities is limited because their powers are spatially selective and thus are unable to counter temporal methods of manipulating voter behavior. Sri Lanka exemplifies two important realities of electoral authoritarianism. First, it illustrates how EA regimes have adopted ideological and material control of voters’ choices in ways that are far more sophisticated than dictatorships, while providing the space for multiparty elections. Second, despite these sophistications, EA regimes are inherently unstable because their survival depends on continuing to dismantle democratic institutions in order to command complete control over the democratic forces that oppose them. Of course, when they are under pressure, the regime adopts various policies to democratize governance. In the long run, members of the public judge these regimes by the democratic principles they claim to uphold and their performance, and thus such regimes create the conditions for their own downfall. Why and how the regime evolved through a life cycle of emergence, development and the current crisis of electoral authoritarianism in Sri Lanka are well documented. In EA regimes, both ruling and opposition political parties are susceptible to commit fraudulent acts to influence the outcome of elections, even when they are assured of victory. Typically, these acts are voter-initiated and voter-targeted. The latter is far more prevalent in many developing and developed countries. Specific acts, including registration fraud, absentee ballot fraud, vote buying, false election counts, campaign fraud, casting ineligible votes, voting twice, voter impersonation fraud and intimidation, are all well documented. My concern here is only to provide a general account of the reasons for public fears about fraudulent activities during this presidential election and inherent instability of these regimes, and to suggest a few tentative measures to prevent these fraudulent activities. First, the presidential election is held two years ahead of schedule to avert the possibility of a large scale decline in popularity of the incumbent. The regime was unprepared for the defection of Maithripala Sirisena and him becoming the common opposition candidate. Regime’s regular sources of legitimacy (religion, nationalism, war euphoria etc.,) have lost their public appeal as it did during the previous elections. Money and influence no longer guarantee to galvanize loyalty to the regime, either. The common opposition has claimed many of these sources for its’ own advantage and have turned them against the regime. It is difficult to imagine that the ruling regime will allow free and fair election, or gracefully handover transition of power to the winner for the sake of national interests. The personal, economic and political stakes for losing this election are extremely high for the ruling party compared to all parties since independence. There are plenty of reasons for the ruling party to fear widely publicized public outrage about corruption, nepotism, extravagant life styles and the amassing of wealth by a small minority in the ruling regime. 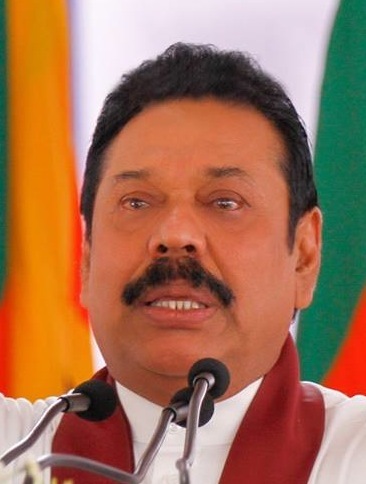 Perhaps in desperation, President Rajapaksa acknowledged the shortcomings of his regime when he said that he will try to be a statesmen if he is reelected, as opposed to his having been a politician up until now. He asked people to vote for him because the known devil is better than the unknown devil. It is also possible that minutes before the rallies and campaigns legally end, the president might even apologize to the public for all wrongdoings of the past, including the election violence. Such gestures of humility could very well be a way of distracting the public’s attention from the fraudulent activities widely reported by the media. In a political culture devoid of shame and guilt, politicians do not hesitate to use any means to capture power. They could easily become self-righteous and authoritarian when their egos make their sense of morality authoritarian. Such a psychological state of mind breeds politicians with narcissistic and borderline personalities and no inhibitions about using any and all means to access power. Secondly, detection and prevention of fraudulent election activities are extremely difficult under executive presidential, particularly when the executive commands absolute control over the economic, administrative and political affairs of the country and is insulated from all established systems of accountability. Exploiting executive powers and parliamentary majority to amend the constitution and election laws in order to consolidate and extend powers of the regime are potential fraudulent acts when they are not endorsed by informed citizens and unprecedented in functional democracies. The difference between legitimate and illegitimate use of executive authority is blurred when the executive uses his routine activities as the head of the state and means permitted to him by law to further his partisan political interests. EA regimes severely constrain the ability of civil administrative services act as countervailing forces against fraudulent activities, particularly in situations in which the officials in charge of these services fear the executive or depend upon executive patronage for their survival and upward mobility in their respective professions. Civil servants openly participate in partisan politics that typically are prohibited by law or frame their legally permitted according to the interests of their political patrons. At the same time, EA regimes are notorious for taking steps to prevent violations of election laws and punish their culprits. During the past two months, several election law violators have been arrested, and the commissioner of elections took steps to prevent fraudulent activities. For example, authorities issued an enjoining order suspending TV show “Janapathi Janahamuwa” and have arrested Provincial Council Ministers responsible for violence. This acts could mean law-abiding administrators and election official are no longer afraid of undue political interference in their duties, particularly when a formidable challenger to the ruling party commands increasing public support for regime change. The regime could also provide the freedom for the justice system and the election officials to enforce the law to distract public attention away from fraudulent activities that are already taking place. The scale of violence, intimidation and harassment has reached to historically unprecedented levels. In contrast to the government’s claim that “Opposition attempts to highlight a culture of violence in the run-up to the presidential election to convince voters that the Government has a hand in the attacks as a myth,” the Election Commissioner has said that he is “sad that the trend of violence is increasing and is a serious form of election law violation” and threatened to annual election if the violence continues” (DM 5/01). Most electoral authoritarian regimes tend to be heavily militarized and elections under them are known to takes place under culture of fear, which many believes to be a form of disenfranchisement. In Nigeria, for example, the elections government authorities have voiced their concern over threats to democracy due to militarization and overzealousness of security forces as they created an “atmosphere of fears and hostility through harassment, placing restriction on mobility of voters and election moniters, intimidation and selective frisking of political opponents” (Olumuyiwa Jimoh). Under the unique conditions of convergence between civilian and security affairs prevalent in Sri Lanka, creating an environment for free and fair elections depends heavily on security forces conducting themselves in a non-partisan and professional manner. The opposition’s main worry here is the advantages that the executive as the commander in-charge of security forces, has in using security forces in election campaigns under the guise of maintaining law and order. The ability of the election officials to to rein in the security forces and keep them out of politics depends on the extent to which the forces are politicized and corrupted by state patronage. At the same time, in every country, there are many professional and law-abiding security personnel with courage to defy the undue pressures on them to be complicit with the fraudulent activities of the politicians, particularly when they see the potential for regime change. Thirdly, the public awareness and dissent against the contradictions of regime’s popular sources of legitimacy also increases the probability of election malpractices by the incumbents. The regime’s claim to safeguard the country’s political and economic sovereignty is now refuted by the country’s increasing vulnerability to external forces and it being placed in a highly disadvantageous position in geopolitical relations of the South Asian region. The formal political equalities promised by the regime are always undermined or made meaningless to the public by the economic inequalities that are inevitable in the regime’s neoliberal economic policies. The election campaign of the regime does not provide answers to economic crises or address the issues of corruption and nepotism. The regime is no longer able to capitalize on war euphoria and the ideological, political and economic sources that it used to mobilize votes during past elections. It needs alternative means to compensate for these deficiencies. Fourth, in recent years, information dissemination has vastly expanded, and so do opportunities for election fraud through manipulation of information. Social media make it extremely difficult to keep even the most classified information secret. Information overload and real time transfer of information make both fraudulent activities as well as surveillance of election law violations extremely difficult. In general, EA regimes, often under pressure of international donors, allow greater access of information for the international community while denying same access to the majority of local population. These regimes invest heavily in media services, and media personnel themselves depend on the regime’s patronage. While authoritarian regimes berate social media as anti-national and illegal, they also use those platforms for clandestine activities against their political opponents. There is a great deal of suspicion about who really owns these anti-government social media services and whose interests they serve. Not all citizens are interested in actively participating in politics by accessing and making decisions based on information that is available to them, as J.S. Mill and Rousseau have suggested. Most people consume the most simplistic and easily accessible sources of information, which are mainly permitted by the regime in power. These sources become vulnerable to information-driven fraudulent activities, particularly when the production and dissemination of information are controlled by professional consultants and public relations firms that are accountable to no one. The role that these professionals play in framing election agendas and setting up interpretive framework for information is purely driven by profit and patron-client relationships between these professionals and politicians. These professional services have completely minimized direct interaction between politicians and the public, and they are largely insulated from the scrutiny of established election laws. It is also well known that some public relations firms are for profit ventures owned by politicians and their kith and kin. Displays of ignorance by the voters in making their choices constitute a fraudulent activity when their choices are misled by such systemic control of information. Until there are alternative means of voter education, voters do not even realize the choices they make are not their own, but are made for them by others. Fourthly, modern technologies can minimize mistakes, frauds and problems with imperfect monitoring in elections, but worldwide technologies can also create possibilities for elaborate fraudulent activities. Computers can be programmed to alter the vote count-for example by converting the votes for an opposition party candidate to votes cast for an opposition candidate. Often this has occurred when the voters’ votes are aggregated and tabulated by machines at provincial and national levels. In Mexico, the culprits of these acts are known as alquimistas (alchemists). Social media have already alleged high probability of similar clandestine activities since the Sri Lanka Telecommunications (SLT) has the virtual monopoly of IT services. No one knows the accuracy of these media claims, but they do contribute to public suspicion of election malpractices. Technology could also enable ballot papers to automatically produce predetermined results. For example, in Zimbabwe, “special watermarked ballot papers were used to give President Mugabe a resounding victory. The ballot paper had a water X against Mugabe’s name such that if any ink is placed on the paper, the substance on the paper will react and remove the ink and activate the watermarked X into print.” This happened in several situations through the use of invisible and disappearing ink. The “invisible [ink] is used . . . to cast [a] vote for a political party or preferred candidate to win, and provide disappearing inks to the voters to use for voting. This method has three sequences, one showing the voter thumbprint with disappearing ink, then ink disappearing on all candidates, and finally the intended winner emerging when the invisible ink reveals later under room-temperature heat” (Tunde Fagbenl). As the voting day gets close we will see the escalation of tensions between allegations against the ruling regime’s fraudulent activities and the opposition and democratic forces struggling to deter or bring to light those activities. Regardless of the outcome of the election, it is important to minimize fraud in order to prevent post-election violence and the chaos of highly probable spring that happened in countries with regimes that many thought as permanent. Apart from those mechanisms that are already in place, democratic forces need to provide greater surveillance over the authenticity of the ballot papers used at every polling booth and counting center. Computers should be disconnected from the Internet while the data are being inputted. Independent observers should monitor the transfer of data from paper to computers. The results from various counting centers to the main center should be transferred only after independent observers match the computerized results with hand-tabulated results. Democratic forces should demand transparency about the computer software used in elections, and its authenticity should be approved by independent experts who are not directly managing it. Even if the election fails to be free and fair, the good news is that, in recent times we have evidence from many parts of the world (e.g. Serbia, Georgia, Ukraine, Azerbaijan, Kazakhstan, and Belarus, Egypt) where popular uprisings against election fraud led to the demise of authoritarian rulers or denied authoritarian rulers the democratic legitimacy that they seek. Sri Lanka, given it’s historical resilient as a nation against autocratic rule, certainly could not be an exception here. [Edited out] are busily preparing their post election-loss game. They are planning to exploit the Colombo international school (Facebook, Iphone) generation by trapping them to an “Arab Spring”. They attempted to try this in 2010 when Fonseka barracked himself at Cinnamon Grand, complaiing of fraud after loosing by 18 lackhs of votes. Maaru Sira, appearing behind bullet proof screens at Kesbewa is trying the same trick under US embassy advice. No matter what the size of loss is, they will complain of election fraud. But the forces are ready. Well, he and any fool that is stupid enough to turn up will learn their lesson, won’t they? national security will b no.1 priority aftre MR’s third win. U make up the dwindling number of foolish lankans who r still under the impression MARA should get 3rd term. In a country of intelligent people a small number of fools are required to make up the numbers, if not we will have no one to throw our change! which will be plenty after 8th Jan ’15. The JVP which has its squads watching will need to be on alert. Jarapassa will stop at nothing to “win”. SL Gov anuaal revenue (your Kings income) is about $9bilion. US IBM, HP company revenue is above $100b a year. Apple or Nestle in Switzerland should be earning close $200b.. How do they gauge the importance of SL Gov with $9b income? 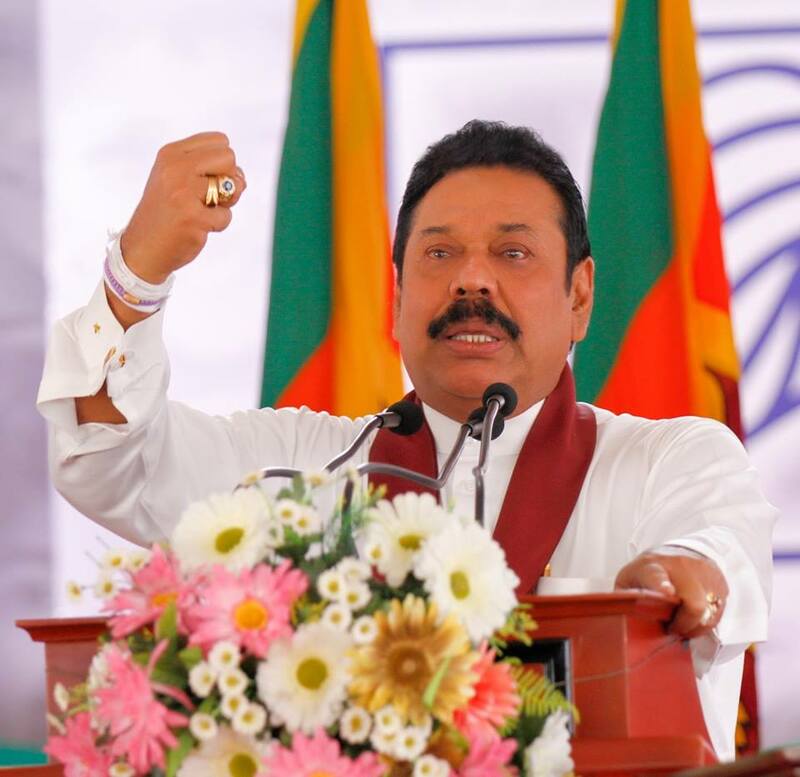 The main thing worry of West is if there is no “Yaha Palanaya” in SL, this country will produce more refugees to the world… Do you, Astrologist, get one I mean here? Likely Outcomes based on No Fraud and MaRa stuffed Ballot Boxes. Morons like you are the curse of this nation and a seasoned dictator like MaRa is trying to hoodwink the poor folks about showing the Tiger card and act like the Family was the winner against the LTTE and not the country. The War was conducted by heroes like Gen SF and not Zeroes like Daya Rat and Jagath Bala etc – who was scared of a bullet and was hiding in Admin responsibilities as SF was too kind to keep them at the Army when a full range war was on way. What National Security.? Who are we going to fight against, a small nation like ours. Another Modaya that is what you are. Electoral Authoritarianism And Fraudulent Elections. 1) Some social media and political analysts contend that unless something extraordinary happens, Maithripala’s victory is assured. The concern is the high probability of the ruling party committing potentially fraudulent acts which interfere with the process of elections and intend to change the outcome. Compared to blatant dictatorships, formal electoral mechanisms in democracies could fetishize the ability to prevent fraud and thus provide an even greater space for fraud. *** For MR it is a fight for his and his families survival but for MS it is a fight for Sinhala Lankas survival. Either way Stakes are high for both sides. For MR if he loses his resting place will be the HAGUE. Despite all the rhetoric from MS that he will spare MR he is not going to withstand the pressure when UNHCR delivers its verdict end of this month. For MS if he doesn’t win then Sinhala Lanka is in for a battering as the Country will be crippled by sanctions. 2) Even if the election fails to be free and fair, the good news is that, in recent times we have evidence from many parts of the world (e.g. Serbia, Georgia, Ukraine, Azerbaijan, Kazakhstan, and Belarus, Egypt) where popular uprisings against election fraud led to the demise of authoritarian rulers or denied authoritarian rulers the democratic legitimacy that they seek. Sri Lanka, given it’s historical resilient as a nation against autocratic rule, certainly could not be an exception here. *** I disagree with the above and would say this. If MR scrapes through there is not going to be an uprising by the masses. But rather the danger for MR will be that with a paper thin majority and an uncertain future there will be a stampede by MRs MPs to Cross Over to get to safety and there are already mutterings of this happening . What happened in other parts of the World are totally different. I agree with your comments. I have many worries about all outcomes of the election. The challenge of democracy will continue regardless of who win the election. My sincere hope that people will continue to hold politicians responsible and accountable.